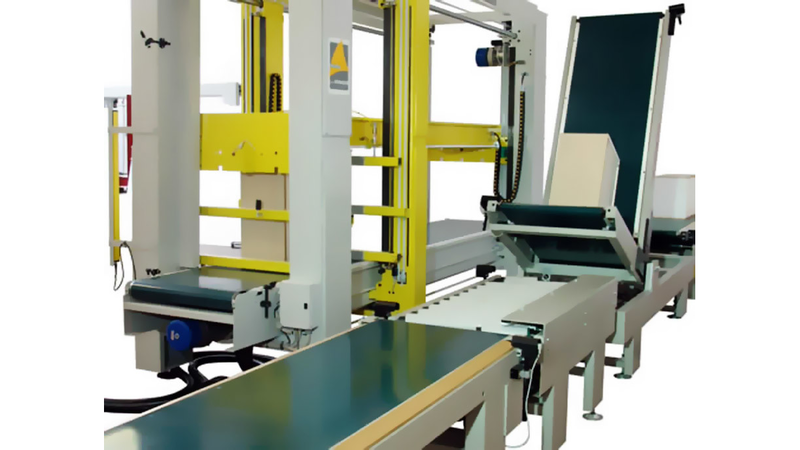 This machine in installed on the assembly line after the bottleneck, to place in vertical position or tip by 90° furniture units which are assembled after being positioned on one side. The machine consists of a sheet plate structure with electro-welded steel profiles. Two centrally pivoted belt conveyors are mounted on the structure. A hydraulic system, operated by a control unit, tips over the two parts. The machine does not operate with different loading and unloading heights. The tilt unit may also be used for transfer only. This tilt unit, when equipped with an optional cycle, may be used to tip the same furniture unit several times, turning it over even by 360°.